I created these fun Halloween treats with trick or treating in mind. They most certainly can be made before Halloween night, but what a great way to use up some of that candy they get from going door to door! Autumn is here! Well, at least I’m trying to pretend it is even through all the heat we are still having. I’m trying to cool off by cranking the air conditioning, putting on a cardigan and eating all the pumpkin things I can! Fall also brings Halloween and my boys are excited. They picked pretty easy costumes this year and for that I am grateful. My littlest actually wants to go trick or treating this year so that just means more candy to sneak from his bucket! Ha! 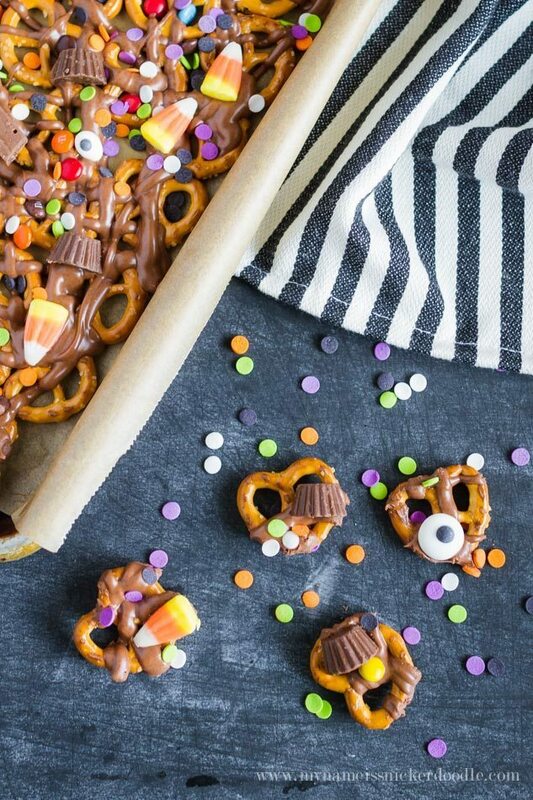 You’ll love these Trick or Treat Candy Pretzels. 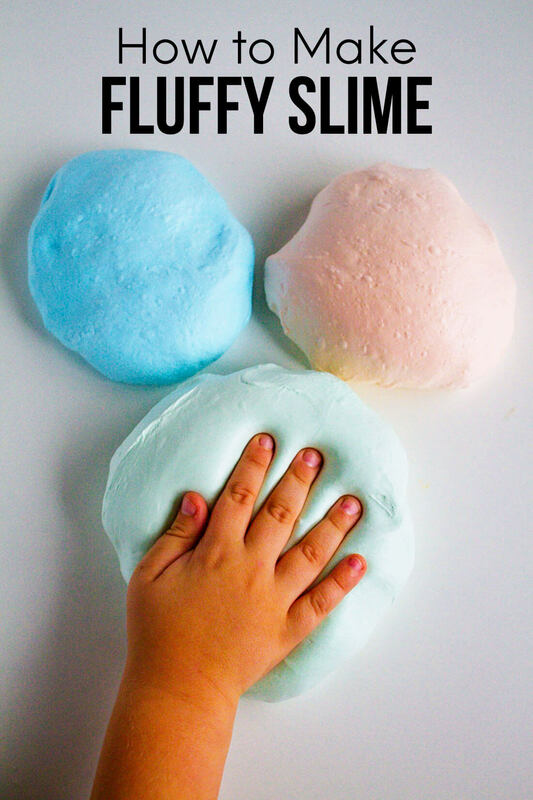 This would be great to make with the kids as well. 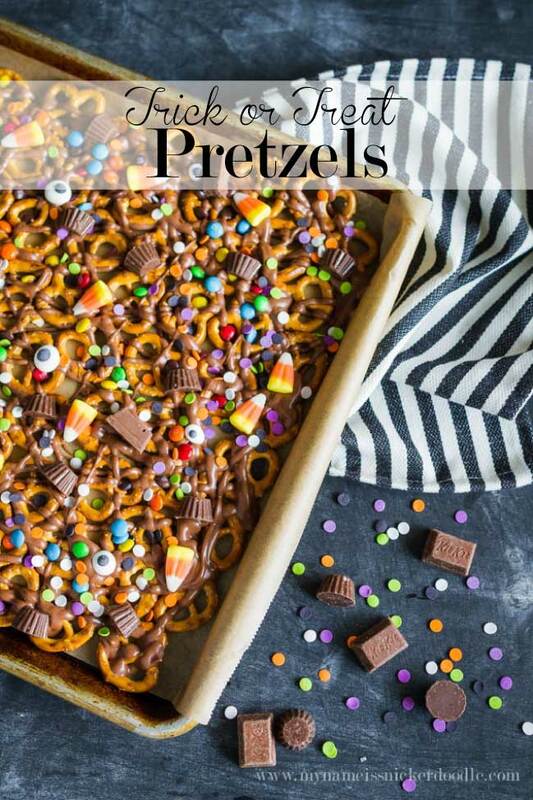 Help them open up the bags and have them scatter the candy down once you’ve drizzled the chocolate over the pretzels. Place pretzels in a single layer onto the baking sheet. In a medium bowl melt together chocolate and oil together in the microwave for about 1 minute, stirring after each 10 seconds. 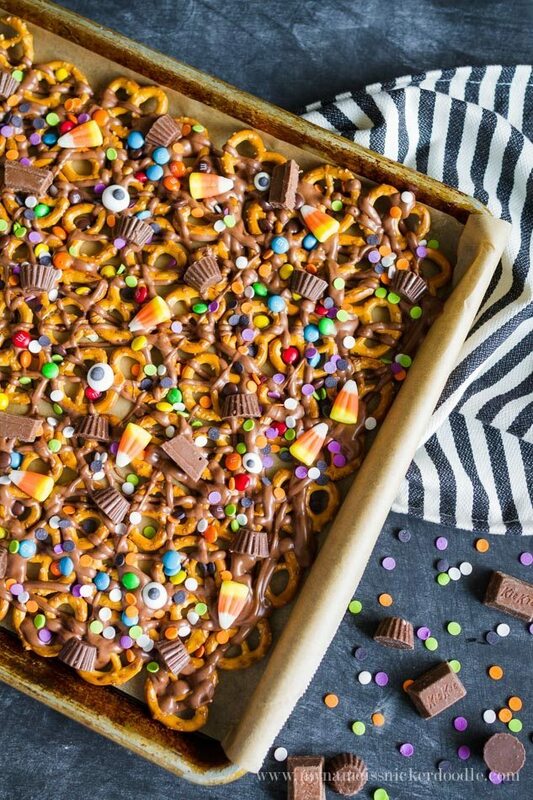 Using a spoon, drizzle melted chocolate over the top of the pretzels. Immediately sprinkle with candy and sprinkles. Let it set at room temp for 1 hour before breaking apart and serving. 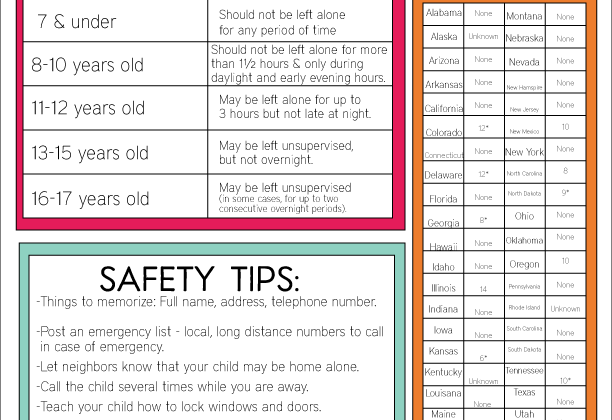 * Nutrition info will vary based on how much of each candy you decide to add. My kids (and husband!) gobbled up this batch and it was gone before I knew it! 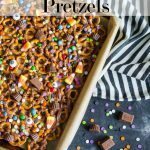 If you make them for a party or just for a fun snack after Halloween, I promise they will delight everyone around you! I love love love this!! 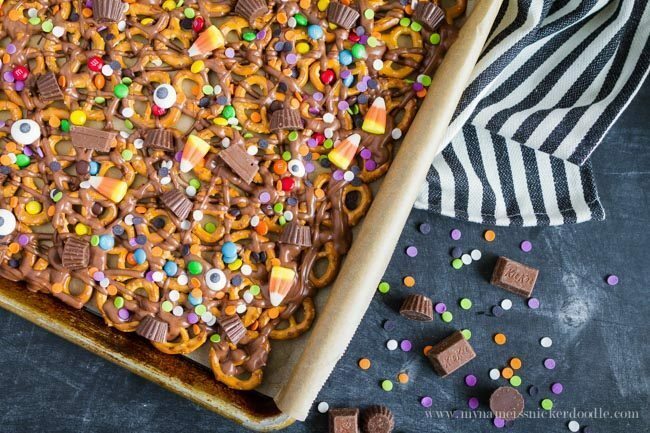 This is a great recipe for the kids to help with (sprinkling the candy on especially)! I can’t wait to try it out!